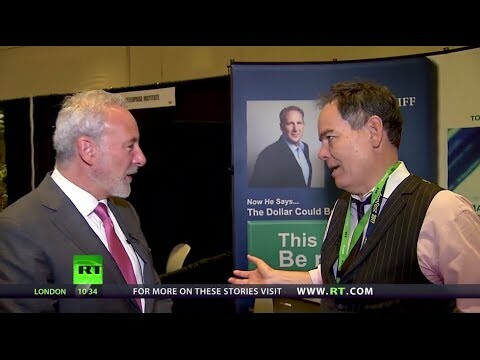 Recently on the Kaiser Report, Max Keiser interviewed legendary investor Peter Schiff (which can be seen in the video below) and asked him about bitcoin. Schiff’s reasoning for disliking bitcoin is - he believes - it’s not backed by anything, there will be another cryptocurrency along in a minute, the holders will be left crying when it collapses and merchants don't accept it as money. Although Schiff did express some regret he didn't buy sub $10, the real reason for disliking bitcoin may be explained by a generational thing. He cited Jim Rogers as a fellow sceptic and this is probably borne from a lack of any real need for them to understand crypto (at the moment). Schiff is a gold bug and a believer in sound money (something we have covered before, here) - but I wonder if he understands that the ideal of gold as an investment (a store of value diversified from debased fiat cash) has been replaced by technology over the past decade in muting inflationary forces despite low interest rates, unparralled money printing and high employment? As we covered in our recent blog, this is because the rise of automation and fall of computer and storage costs means people can live easier and cheaper than previous times. Just look at the falling relative cost of an iPhone and the rising functionality it performs. This is why bitcoin and blockchain money will keep growing – it is money for the internet which will continue distributing benefits of technology, in a way centralised banking systems and gold never will. Bitcoin has made physical gold arguably an investment superstition, which no doubt Schiff and Jim Rogers would scoff at. They'll probably only change their minds when they see bitcoin all around them - and their existing client bases and believers stop generating revenue for them.